The most authentic, trustworthy, and loving place is not where most expect it to be. Rather, it is only found within, where our Father, the King has taken up residency and found His rest. Understanding and embracing your true identity in Christ is crucial for living the abundant life that Jesus talks about. Don Nori, Sr. has searched far and wide. His search has been long and hard, in fact more than hard; it has been excruciating, terrifying and often hell bent. What Don has to teach you will comfort you, while other things will surprise you. Some will cause you to cry out for joy to your Father, while some will be difficult to accept. Nonetheless, Don is persuaded that the tangible reality of Who our Father is will cause the most resistant to release the binding shackles of mere humanity and begin to experience the wonders of being His son. If you are ready to go deeper in your understanding of who Christ is in you and through you, then I invite you to this life-changing broadcast (webinar). Listen to wise words from someone who has learned how to “unlearn” beliefs that hold us back and found something that changed everything. This is not a message. It is a journey! 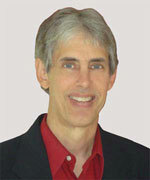 Don Nori, Sr., along with his wife Cathy, founded Destiny Image Publishers in 1983. From their living room, it has grown into an internationally respected company represented in every country of the world, with millions of books distributed in nearly 100 languages. Don has written 20 books of his own and is a respected Christian philosopher, entrepreneur, consultant and public speaker. He is an international Ambassador of world peace, recipient of the International Golden Rule Award, and holds an honorary doctorate from the United Graduate College and Seminary International. Blessings be understand what is means to live as an authentic son of God!